Gion Matsuri is one of Japan's grandest festivals. Held annually in July, the festival's climax is on the 17th and 24th when giant, wooden-wheeled floats are pulled through the streets. 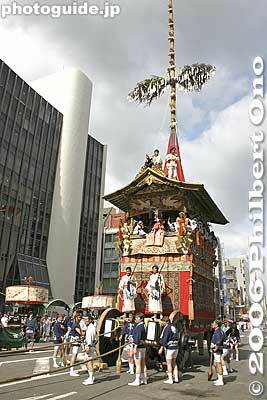 This is at the starting point of the Yamahoko Junko procession on July 17.